Kelly Johnson, a National Board–certified teacher, is a Common Core support teacher in the San Diego Unified School District, where she works in classrooms with teachers modeling how to implement Common Core strategies across disciplines and grades. A faculty member in teacher education at San Diego State University, Johnson teaches reading methods, classroom management, and liberal studies. She received the California Reading Association’s Constance McCullough Research Award for her study on assessment and diagnostic instruction. She also received the International Reading Association’s Celebrate Literacy Award, which honors educators for their significant literacy contributions. Johnson has published in The Reading Teacher, The California Reader, The Reading Professor, and Literacy. She has also coauthored several books. Often referred to by her colleagues as a teacher’s teacher, Johnson has appeared in many instructional videos on teacher modeling, assessment and instruction, effective grouping, and writing instruction. Her current focus is assessment and small-group instruction in secondary classrooms. Prior to her current secondary and postsecondary positions, Johnson taught grades 1–6 and worked as a peer coach and a reading intervention teacher. 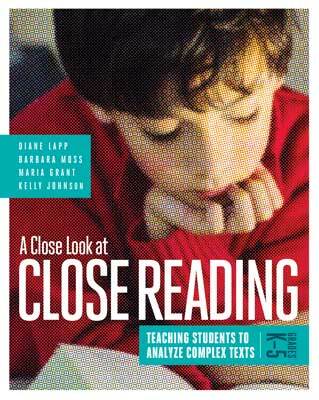 Find out how to teach young learners to be close readers and how to make close reading a habit of practice in the elementary classroom. 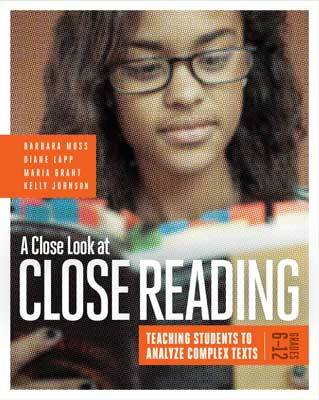 Learn how to incorporate close reading in your secondary classroom to empower students' analysis of complex texts, increase their disciplinary literacy, and deepen their content area knowledge.